1/2 ts turmeric, cinnamon and ginger, 2 drops peppermint oil, Tb honey. Eat sugar free diet if you suffer from flu too often, as sugar damages immunity.-- Dairy free helps also. If you have flu/cough/sinus/hayfever then cease all dairy, so the phlegm can clear. because its in the digestion that virus/germs are fought. 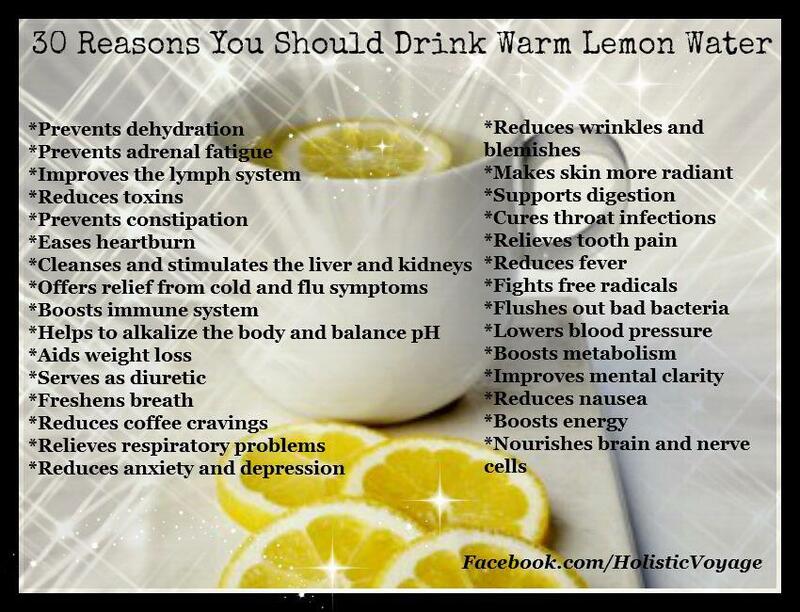 Drink water and lemon, ginger, peppermint teas.- they help digestion. AND gargle with seasalt water. Take a hot bath in epsom salts and drops of eucalyptus oil and make sure you sweat. Drink warm water while in the bath. If you take this hot bath at onset of flu, it can sweat out, IF digestion is healthy. Use apple cider vinegar, add 1/2 ts turmeric & ginger, a tiny sprinkle of cayenne pepper. -- If you have cough, blocked ears, hayfever, sinus, cease all dairy so the phlegm can clear. Try a sugar free diet, as sugar damages immunity the most. blend for 2 mins with 3 Tbs peeled garlic. Let set in the fridge, stir every few minutes until set so garlic doesn't settle on bottom. 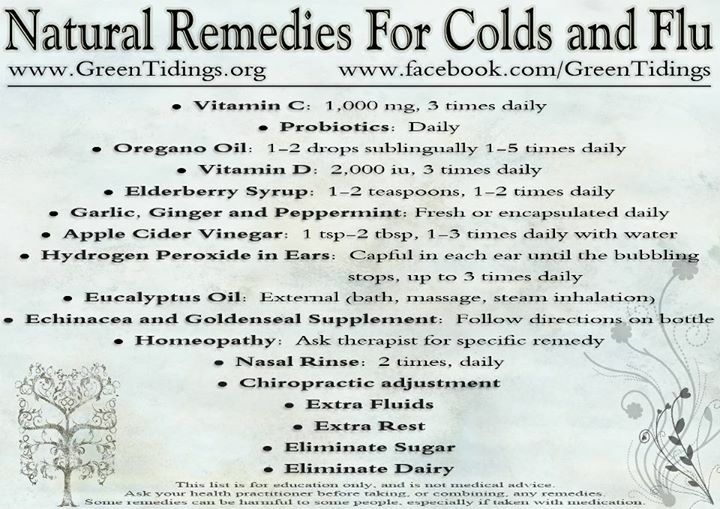 I would add a drop of peppermint oil. Put on chest, feet, ears, nose. as well as a diluted dab under the nose, and kills bad odors too! Instead of Hydrogen peroxide - Doctors recommend an acidic, astringent liquid that will evaporate. 6. Before bed -Rub vicks on feet, put sox on. add gelatin to a cup of tea with a TBS of coconut oil. The warm gelatin coats, soothes throat while anti microbial properties of coconut oil kill infection-causing bacteria. More on how gelatin heals click HERE. 1. Stock up on Vitamin D.
Vitamin D is an essential nutrient that keeps the body functioning optimally, and especially supports the immune system. I recommend having your Vitamin D checked for level between 50 and 80 ng/ml. 2. Take a probiotic every day. A strong immune system relies heavily on having a healthy, well-functioning gut (as 70% of your immune system is in the gut), and probiotics keep your gut humming. probiotic with at least 10-20 billion organisms and take daily. 3. Avoid sugar, gluten, and processed foods. dark greens and veggies are packed with flu-fighting phytonutrients. 4. Give your body an easy antiviral boost. 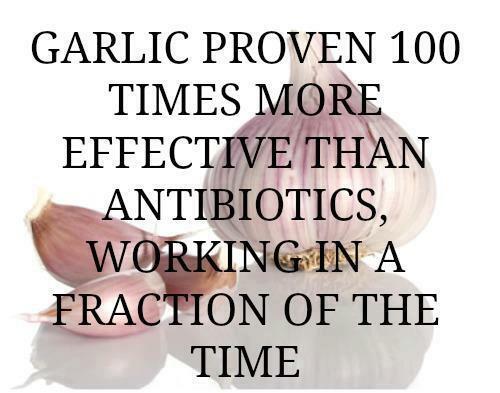 and garlic, has antiviral properties and is a known immunity booster. 5. Don’t skimp on sleep. at least 7 hours a night check out my top tips for improving your sleep. 7. Lay off the antibacterial soap & hand sanitizers. Mix together in a small saucepan and heat gently until coconut oil is melted. Take warm syrup by the spoonful as desired. You can also mix it into hot water or tea. 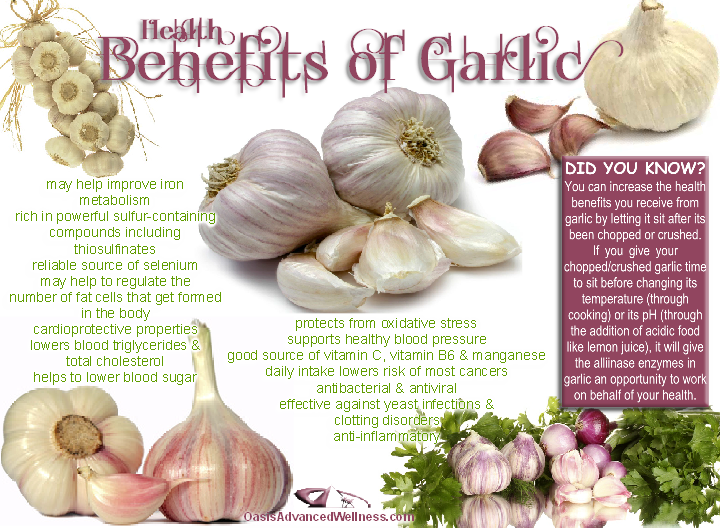 Are you including GARLIC in your diet? Each morning -drink a clove in lemon juice water to kill yeast, bacteria, fungus, and as a natural antibiotic. Add a clove to smoothies, salad dressing, make pesto, add with onions as the base for soups and stews. Make garlic coconut butter by blending coconut oil with cashews, salt and garlic. as an antibacterial and antiviral herb for fighting colds, coughs and the flu. One of the best ways to take advantage of garlic's healing properties is by drinking fresh garlic tea. Sweetened with a little raw honey, it's delicious and helps to heal what ails you. Peel 2 to 3 cloves of fresh garlic and lightly crush them with the side of a wide knife blade. Add them to 2 cups of water and bring to a boil. Lower the heat and simmer for another 15 minutes. Add raw honey, a tiny pinch of cayenne pepper and a squeeze of lemon juice. Drink as desired. uses raw honey and red onions to make a soothing and tasty cough syrup. Wash, peel and slice the entire onion horizontally. Stevia plant crushed works well for this home remedy too. Continue adding layers of onion and sweetener until the entire onion is reconstructed in the bowl. Cover and allow the sweetened onion to remain in the bowl on your counter for about 12-15 hours or overnight. The next day, there will be about a cup or more of sweet syrup in the bowl. The cough syrup contains a range of nutrients, vitamins and minerals from the onion and the honey to help fight infection and soothe sore throats and quiet a cough. Take a spoonful as needed. Has no onion-y taste. and helps stop the tickle that stimulates coughing. Raw honey -- with all its components including royal jelly, propolis and bee pollen -- is high in nutrients and enzymes which kill bacteria and viruses. The vitamin C and antioxidants found in fresh lemons boost the immune system, speeding healing. Together these two home remedies are a powerhouse for getting over a cold and sore throat. Chicken soup really does act to knock out a cold or the flu and hasten healing. In the 12th century, Jewish physician Maimonides recommended chicken soup to fight colds and flu. 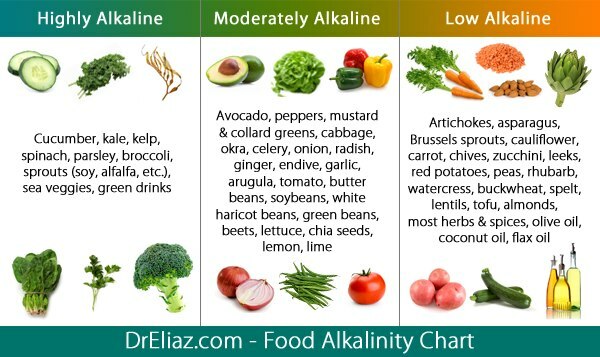 Take advantage of the high antioxidant properties and nutrients found in organic vegetables and chicken. that are not recommended for well being. Go organic all the way and get well quickly. Mullein tea is well-known for relieving chest congestion from coughs, colds and the flu. It acts as an expectorant, loosening trapped mucous and soothing sore throats. and steeping in a cup of boiling water for 10 minutes. Sweeten with raw honey and drink as needed to relieve symptoms. 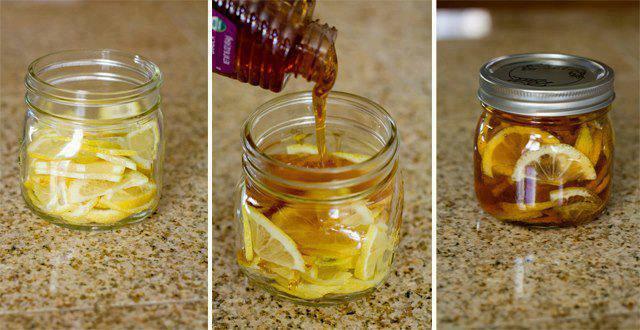 In a jar, combine lemon slices, organic honey and sliced ginger. Close jar and put it in the fridge, it will form into a "jelly". Store in fridge 2-3 months. To serve: Spoon jelly into mug and pour hot water over it. Gargling with salt in warm water is also an effective way to soothe a sore throat. cayenne pepper, ginger, lemon, garlic, peppermint- steep in boiling water. 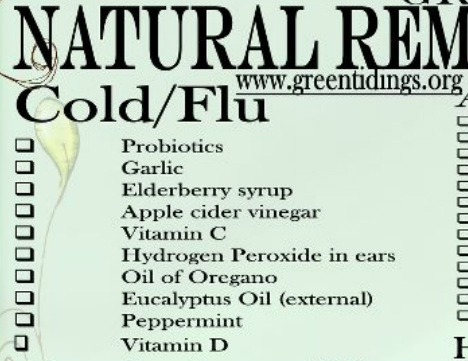 Due to powerful combination of natural anti-flu/cold substances. -garlic, a natural immune system booster because of its antiseptic, anti-fungal and nutritive properties. It is a natural detoxifier protecting against bacterial and viral infections. Don’t get discouraged by the garlic part, you will barely be able to taste it. -Lemons are rich in vitamin C, antioxidants, and a great body alkalizer. -Ginger has been used for centuries as an effective cure for cough and cold. It helps alleviate sore throats, itchiness, coughing, and even blocked nasal passages. 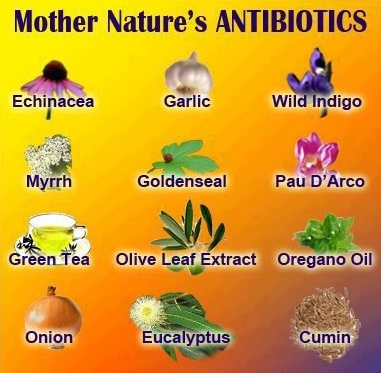 and it reduces coughs by coating and soothing an irritated throat. -Cayenne Pepper stimulates the release of mucus from the respiratory passages and it helps clear your sinuses. I believe combined makes them more potent. Enjoy and drink it throughout the day! In a large saucepan add the water, garlic and ginger root. Best chicken soup to help heal cold/flu. 2 large chopped onions, chopped spinach or kale, salt and pepper. Simple and heavenly! Ginger was made for chicken soup. holds the roots of our health. 3. If sick, avoid close contact with those who are well. 9. Consider options to heal and stay well, such as chiropractic, homeopathic, naturopathic. as your immune system is normally fully capable of eradicating viral invaders such as the cold virus. The only time the virus can take hold is when your immune system has been compromised. Melt oil and beeswax in pan and add essential oils. Pour into metal tin(s) or other container. The salve will harden within 10-15 mins. If too soft, like ointment, remelt and add more beeswax. If too hard, remelt, add more oil. or add more essential oils. also use to help relieve nasal congestion. just before it sets, stir in essential oils. Wonderful as sore muscle rub as well. to beeswax -softer ointment consistency. Combine all in a quart size jar, and fill to top, leaving 1 inch headspace. Shake daily for two to four weeks, then strain, squeezing out all liquid. Heat gently over heat, and add 1/4 c. of honey, stirring to dissolve. 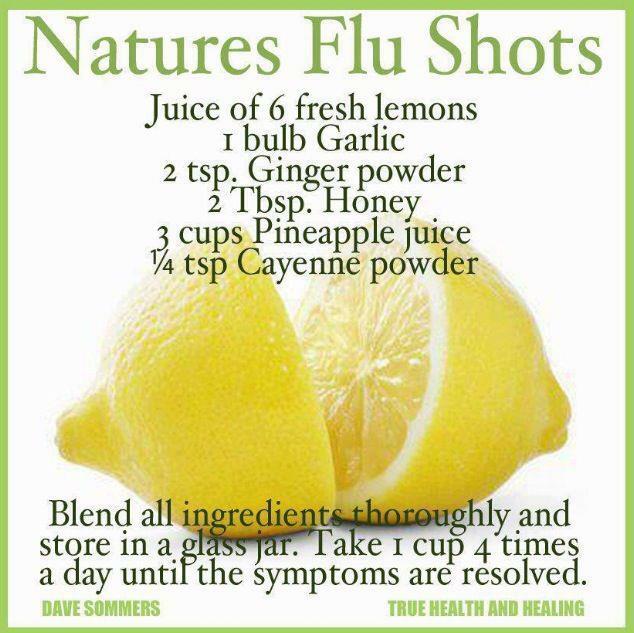 Rebottle, and use as needed to kick any feeling of sick right out of you! to give an extra boost of nutrition. in a small glass jar and keep in fridge. The syrup can be used every half hour. use as child's main nourishment when sick. Mix kudzu root powder with ½ cup cold apple juice. Stir to dissolve. Add the cold apple juice/kudzu mixture to the simmering juice. Stir until boiling. Reduce temp to low and stir for 2 or 3 minutes. Administer when cool enough to consume. Makes 1 cup. Drink 1 to 4 cups daily when ill.
Getting Sick = Good Practice with Herbs! 1 avocado, 2 granny apples, 1 banana, 1 pear, 1-2 Tblspn coconut oil. Elderberry Syrup - Cara’s recipe for elderberry syrup. Use rose hips or Royal Camu from Radiant Life (resource page) and mash it into the honey before adding to the syrup. .
Coconut Oil. Use as lotion / lip balm, so skin is dehydrated. Take 1 Tbspn a day for digestion and nutrients. Mullein Tea. I wasn’t aware of mullein tea until I got really sick about a year and half ago and my ears got so plugged up they wouldn’t drain for about 3 months. In fact, that sickness was what prompted my writing of my antibiotics post and ultimately the reason I started the GAPS diet to heal my gut..
OR take triple strength horseradish and garlic odourless tabs. Apple Cider Vinegar. Gargle with apple cider vinegar it may numb the pain and help you sleep. It also helps balance the digestive system, to help fight the virus. Red Bell Pepper. Helps settle stomach and give energy. They are rich in vitamin C.
Sauerkraut. A healthy salty kick with a meal- has healing properties. Provided seafaring people with vitamin C where fresh produce wasn’t available. Has probiotic qualities to help you fight infection..
Chicken Stock. Beef Stock. Shellfish Stock. Quick Fish Stock -Stock is healing and anti-inflammatory. Chicken stock is warming and savory. Most of all, make sure that you sleep as much as possible and eat nourishing food. Take a nap, take a sick day, keep your stress low, and feel better! We need sleep to keep the immune system strong. Fever in a baby younger than 3 months old. A fever lasting more than 3 days. Repeated vomiting, severe headache, stiff neck, extreme lethargy or unresponsiveness. Trust that a fever is your child’s friend and know when to ask for help. Do everything you can to make your child comfortable while still allowing a fever to burn and do its job. but seek to help and inspire to well being and make informed choices, not to consult on medical treatment.